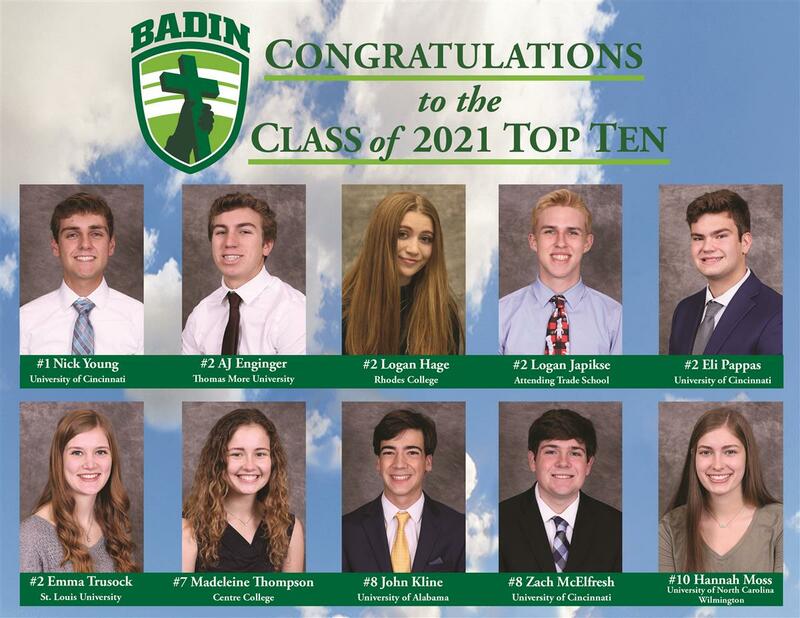 The Badin High School Hall of Honor, continuing to be one of the most prestigious recognitions the school can bestow, will induct its fifth class at the annual dinner on Thursday, Sept. 27, at the Courtyard by Marriott in downtown Hamilton. 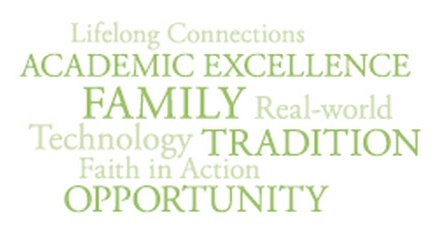 The Badin Hall of Honor is dedicated to honoring the outstanding achievements of graduates, faculty, staff, and members of the Badin community and its predecessor schools, Hamilton Catholic (all boys) and Notre Dame (all girls), which came together in the fall of 1966 to form Badin. 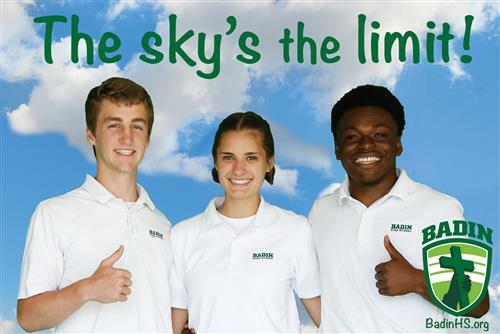 Members of the Hall of Honor represent the mission of Badin High School – to inspire young men and women to achieve their personal best, live their faith, and lead the future. They make a difference in the world around us through their actions, both large and small. Ed Larkin ’58 and Karen Hesselbrock Larkin ’58 started dating as juniors and were presidents of their respective classes at Hamilton Catholic and Notre Dame high schools. They sent seven children through Badin, including Ed Larkin ’88, the current chair of Badin’s board of trustees. From the fall of 1977 through June of 1999, the Larkins had at least one child in attendance at BHS. Elizabeth Anne Tromans Ungerbuehler ’69 was an office aide as a student at Badin High School – then came back to be a valuable administrative assistant in the front office for her entire working career. Badin has had seven principals during its 50-plus years of existence, and Anne worked for all of them prior to her retirement in June of 2013. Father Gerald Haemmerle was the well-regarded principal of Badin from 1975-1981. He celebrated 50 years as a priest in the fall of 2017, and was named the Ohio Chaplain of the Year by the Knights of Columbus for 2012-13. 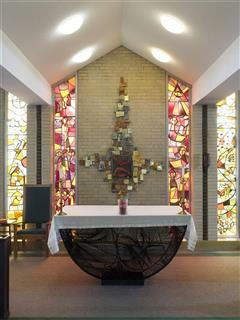 He is currently chaplain at St. Leonard’s Franciscan Retirement Community in Centerville. Shirley Miller Rosmarin ’57 has made her presence known for years at Badin, St. Peter in Chains School as well as St. Peter in Chains Church. She was the longtime coordinator of the Meals on Wheels program through Fort Hamilton Hospital, with some 140,000 meals a year, and was named a YWCA “Outstanding Woman of the Year” in 1991. Michael Zettler ’66 climbed to the top ranks of the U.S. Air Force, retiring in January 2004 as a lieutenant general and the deputy chief of staff for installations and logistics at USAF headquarters in Washington, D.C. Today, the lifetime service award given by the Air Force Logistics Officers Association is named for Lt. General Michael E. Zettler. Robert Kirsch ’77 is internationally renowned for his work in medical technology as the chair of the Biomedical Engineering Department at Case Western Reserve University in Cleveland. Kirsch is in the forefront of revolutionary breakthrough efforts to connect brain thought with muscle movement in paralyzed individuals through electrical stimulation. Kathleen Saurber DeRouen ’99 has taken Badin’s mission of “Serving God, Serving Others” with her to West Virginia, where she and her husband, Brian, run the Alderson Hospitality House, a non-profit bed and breakfast for people visiting their loved ones at the nearby Alderson Federal Prison Camp. Kathleen was named the Stephen T. Badin medal winner as the top student “by every measure” in the Class of 1999. The Hall of Honor event serves as a kickoff to Homecoming festivities. 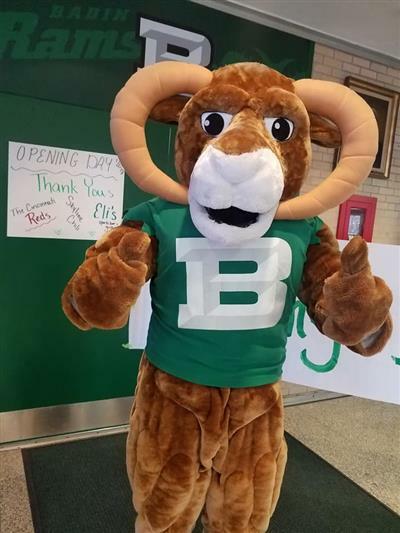 The honorees will be recognized at a Badin High School assembly on Thursday afternoon prior to the dinner, and then will be part of the Homecoming parade and introduced at halftime of the Rams’ football game against Dayton Carroll Friday night, Sept. 28, at Virgil Schwarm Stadium. The Hall of Honor dinner begins at 6 p.m. with cocktails and appetizers, followed by the meal and ceremony at 6:45 p.m. Tickets are $75 and there will be a cash bar. All proceeds from the Hall of Honor event benefit the students of Badin High School. For tickets, contact Kim Graham at Badin, (513) 863-3993, ext. 128, or purchase them through the Badin website -- badinhs.org – under the Alumni tab.